Lawrence and Judy Lynn Gunkel v. Renovations, Inc.
At Eilbacher Fletcher, LLP, we are not like most firms. To begin with, we are all partners. This group of experienced attorneys came together to create a nationally recognized team of litigators. We don’t compete for clients, headlines or money. Most importantly, if you are a client of one of us, you are a client of us all — with our collective knowledge working on your behalf. Team of partners — With our firm, you need never wonder whether you’ve got the best legal talent working on your case. All of our attorneys are partners with vast experience, and all of our partners are on your team. Culture of excellence — From our inception in 2004, we have recruited accomplished attorneys who share our commitment to excellence in the practice of law. Distinguished litigators — Our partners have earned numerous accolades for their achievements in mediation and at trial. Laser focus, 360° vision — Our lawyers grasp minute details on which a case may turn, but also appreciate the big picture relative to your goals and objectives. Our partnership approach also extends to our clients. We listen to you, and we present options to you, but ultimately, we take direction from you. 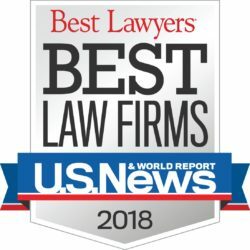 Because our team of partners has such extensive experience, you can rest assured that an accomplished litigation attorney at our firm has successfully managed a case very similar to yours. Whether you are a small or large business, an individual seeking legal counsel or a referring attorney, we encourage you to get to know us better. To schedule an appointment at our Fort Wayne office, call 260.425.9777 or contact us online. Eilbacher Fletcher, LLP is located in Fort Wayne, IN and serves clients in and around Fort Wayne, Allen County and northern Indiana.